Books are an endless source of inspiration. Good books can change your life. In your role as CIO or IT executive you might want to look for alternative and more innovative ways of implementing your digital transformation. You might just want to understand the ever-evolving world of technology and its implications on society a bit better. 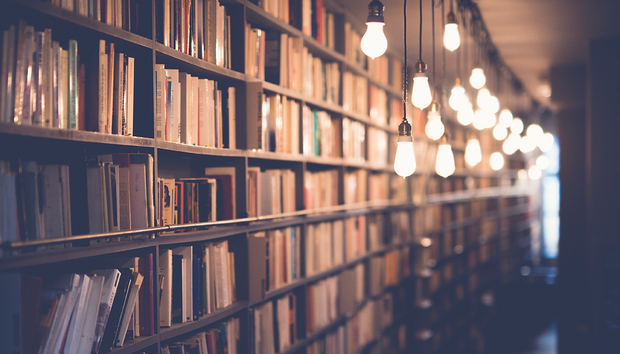 Here we have a list of eight fascinating books that will offer you not only food for thought but also practical advice and ways of seeing your role from a radically different perspective. Venkatraman's Digital Matrix provides a framework that CIOs can use to build their own digital transformation strategy. It is structured to help readers understand the three types of players that are shaping the new business landscape, three phases of transformation and the three winning moves to ensure company success. Like the tech world itself, most books on IT have a male authorship and are mainly intended for a men audience. This great read is a break from that trend. A tech-oriented career guide, Women in Tech alternates teaching career skills with inspiring personal stories from successful women in tech. Written by a female startup CEO, this book deconstructs the unconscious social bias that tells women aren't a good fit for tech or IT leadership positions. It also includes contributions by other inspiring women such as Women 2.0 founder Angie Chang and digital technology consultant and angel investor Esther Dyson. An essential read for women who are considering getting into tech, or women already in tech who want to take their career to the next level and for all those men who want a more equitable and diverse IT industry. A fascinating read for any CIO intrigued by the inner workings of the insular Silicon Valley. This is a spill-all account of the insanity of the global incubator of tech talent, written by Antonio García Martínez, an eccentric former Twitter advisor, Facebook employee and startup founder. A recent report by Cisco and Oxford Economics entitled Technology and the Future of ASEAN Jobs highlights the impact of artificial intelligence (AI) on the employment landscape among ASEAN's six largest economies (ASEAN 6) by 2028. In The Rise of the Robots, technology expert and founder of a Silicon Valley-based software development firm Martin Ford outlines the achievements of AI and uses a wealth of economic data to illustrate its societal implications. From health and education to finance and technology, his warning is stark - all jobs that are on some level routine are likely to eventually be automated, resulting in the death of traditional careers and a hollowed-out middle class. This is an insightful and necessary read for any CIO concerned about the impact of disruptive technologies on traditional work structures. The work of CIOs is guided by contradictory needs, whether they're cutting costs while driving innovation or focusing on long-term strategy while concentrating on day-to-day operations. The CIO Paradox describes how these conflicting forces work and provides guidance on how to handle them through interviews with a variety of leading CIOs. The book was written by Martha Heller, the founder and CEO of IT executive recruiting firm Heller Search Associates and a regular contributor of sister title CIO.com. This book by leading American technology thinker Adam Greenfield offers a critical examination of the Information Age. It invites the reader to reconsider our relationship with the networked objects, services and spaces that define us. Although this book won't give you practical lessons for the office, it will definitely present you with a deeper understanding of the implications of the technologies that IT executives and society as whole are using on a daily basis. Today's CIOs and other IT leaders are faced with an unprecedented leadership and organisational challenge. The entire landscape has changed over the past few years which calls for executives and companies to reinvent themselves to meet the new landscape. This manual provides IT leaders with savvy advice and specific recommendations to assist them developing a personal plan for future challenges. No CIO read list would be complete without this handy reference book by senior IT executive and author Nicholas Colisto. The CIO Playbook is an essential read for CIOs, CEOs and CFOs. It provides some interesting tips with a seven-point step-by-step framework of: partner, organise, innovate, deliver, support, protect and grow. In this book, Calisto provides solutions to common issues that concern business leaders and IT practitioners, such as how to partner with business peers and measuring performance. According to readers reviews, The CIO Playbook can help leaders transform their IT department.